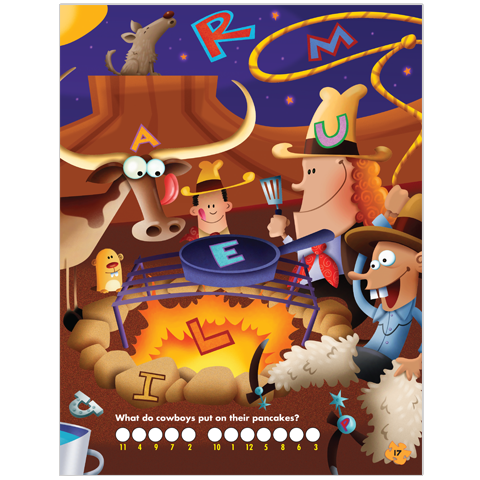 What do you find on a farm? 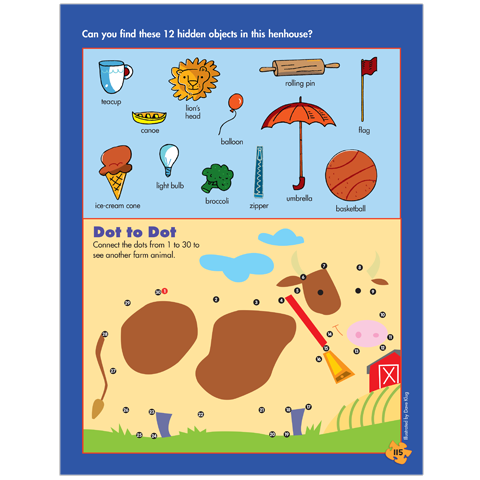 Cows, roosters, crops, barns and more. 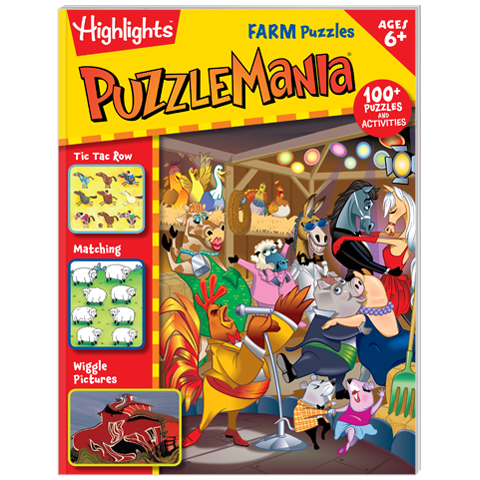 What do you find in Puzzlemania Farm Puzzles? 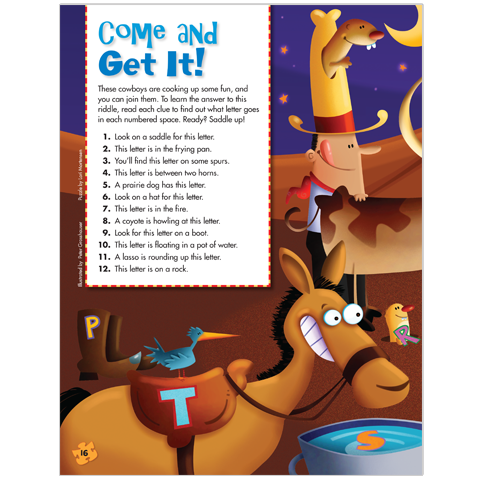 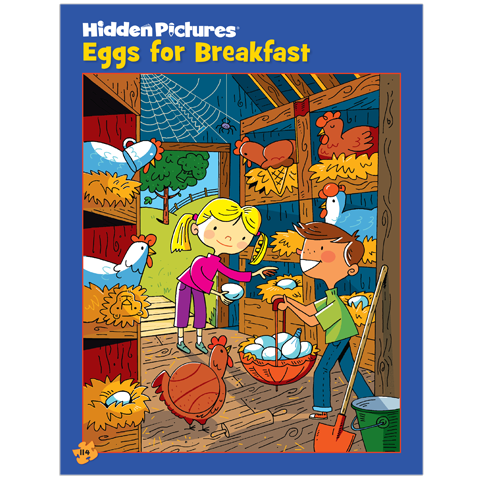 All of the above, featured in a wide variety of Highlights Hidden Pictures® scenes, mazes, word searches, number puzzles, matching games and other activities! 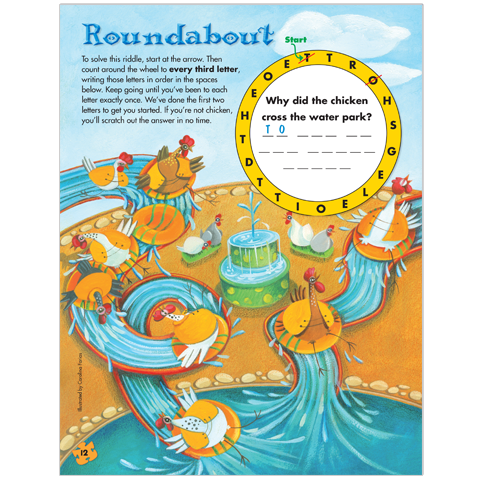 With engaging illustrations, lively challenges and laugh-out-loud humor, this puzzle book is sure to be your young solver’s favorite. 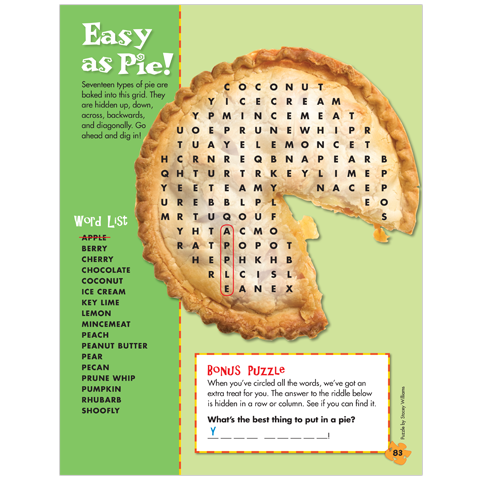 Plus, puzzles are a perfectly fun way to develop concentration, problem-solving skills and strategic thinking skills and attention to detail that help kids gain self-confidence in school and beyond.